Mikura Ltd is a independent company that since inception has designed/developed and manufactures a range of laboratory equipment (eg. 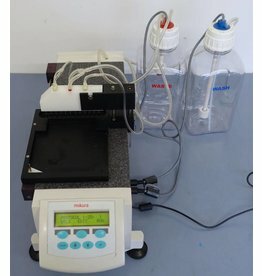 microplate washer). Mikura also carries out subcontract design/development and manufacture of both instruments and electromechanical components. Washer für 96 und 384-well Platten. Füllstandsensor. Guter Zustand - Top Preis. 6 Monate Gewährleistung.